Cain Hibbard & Myers sponsored a performance of Baobob, a West African tale told through puppetry, performed by the Theatre Motus at the Mahaiwe in Great Barrington in October 2011. 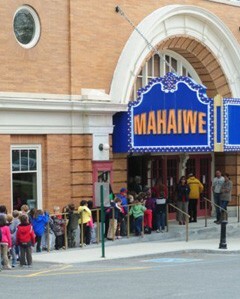 This performance, happily received by an energetic house of elementary school children from South County schools, was part of the A-HA Mahaiwe Daytime educational program. Cain Hibbard is a regular sponsor of this educational series at the Mahaiwe.